Time changes, and our desires change. What we believe—even what we are—is ever-changing. The world is change, which forever takes on new qualities. Love is a fire that burns unseen. 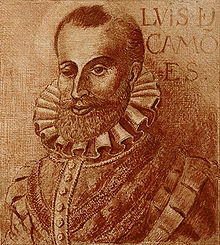 Luís Vaz de Camões (or de Camoens) (c. 1524 – June 10 1580) is considered the national poet of Portugal and the Portuguese language's greatest poet. He wrote a considerable amount of lyrical poetry and drama, but is best remembered for his epic work Os Lusíadas (The Lusiads), the influence of which is so profound that Portuguese is sometimes called the "language of Camões". will lead you through my verses' meaning. you'll know what I'm on about in my verses. and wrote down how they made me feel. to keep his deceits from coming to light. even those with dead hearts in their chest. I lack knowledge, Lady, and wit and art. That came I don't know how, and hurts I don't know why. anxious only for her as his reward. Were not so short for love so long. I'll praise it and remember it. and soothed the lost spirits under the world. The more I pay you, the more I owe you. quanto mais vos pago, mais vos devo. Quoted by Elizabeth Bishop in the dedication of Questions of Travel (1965) to Lota de Macedo Soares, her Brazilian lover. Oh mar! oh céu! oh minha escura sorte! Que inda tenha por pouco viver triste? And no more will he behold thee on this earth! How early didst thou deem life of little worth! — Alas, to lose thee all too soon! How strong, how cruel the waves! My longing and my grief! Draw the sable veil before thy lovely face? O sea, O sky, O fate obscure! To live without thee, Dinamene, avails me not. while I remain here, broken-hearted. Behold us lingering in a world of woe! Thinking of all that made existence dear. While I live here on earth all broken-hearted. As translated by Richard Zenith. Em minha perdição se conjuraram. have all conspired against me. there's no harm won't befall him. as the one I love. is bound to complain if the pain is great. and it is not through weeping that pain abates. pure truths known about my former times. Would to God they were mere dreams. What glorious empire crowned their toils at last! If wit and art will so much guide my pen. A brighter valour rises in the West. They now went sailing in the ocean vast. And, rapt to heaven, with ardent fury glow. É fraqueza entre ovelhas ser leão. To be a lion among sheep, 'tis poor. where live his little span of life secure? that launch their thunders at us earthen worms? Ó caminho de vida nunca certo! O piteous lot of man's uncertain state! Supply the strength of frail Humanity? Whose verdant breast the rolling waves surround. Who, after she was dead was crowned queen. Who, after she was dead was (crowned) queen. Stanza 118, lines 5–8 (tr. Ezra Pound); of Inês de Castro. 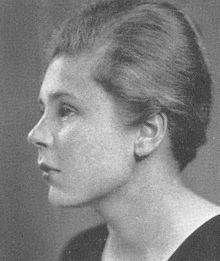 And pale in death the beauteous Inez lay. A soft king makes a valiant people soft. The limits of my zeal. Stanzas 94–95 (tr. Richard Fanshawe); the Old Man of Restelo. Stanzas 39–40 (tr. William Julius Mickle); description of Adamastor, the "Spirit of the Cape". By one's own actions, when to Heaven they soar! Match, if not darken, all that went before. Screws up illustrious actions more, and more. The spur of high applause incites their speeds. esteem, that understands not poetry? "Actions so proud, so daring, so immense, / You saw; and we see daily more, and more: / That in few years (I fear) of heaven and sea, / Men, will be called gods; and but men, we." Men, will be called gods; and but men, we. Stanza 29 (tr. Richard Fanshawe); council of the sea gods. My pen in this, my sword in that hand hold. All laws and ties (divine, and human) burst. Than have them undeserved, without doubt. Glow bold no more, and all thy rage expires. Let your advisers be experienced all, / Such as have seen the world, and studied man. / For, though in science much contained be, / In special cases practice more doth see. In special cases practice more doth see. Stanza 152 (tr. Richard Fanshawe); the poet advising King Sebastian of Portugal, then eighteen years of age. gifts, that conjoined appertain to few. That over the world resounds Pelides' name. Pera cantar-vos, mente às Musas dada. for singing thee a soul the Muses raise. As derradeiras palavras que na náu disse foram as de Scipião Africano: Ingrata patria, non possidebis ossa mea! The last words which I uttered on board of the vessel were those of Scipio—'Ungrateful country! thou shalt not even possess my bones'. Quem ouviu dizer que em tão pequeno teatro como o de um pobre leito, quizesse a fortuna representar tão grandes desventuras? E eu, como se elas não bastassem, me ponho ainda da sua parte; porque procurar resistir a tantos males pareceria espécie de desavergonhamento. Who has seen on so small a theatre as my poor bed, such a representation of the disappointments of fortune? And I, as if she could not herself subdue me, I have yielded and become of her party; for it were wild audacity to hope to surmount such accumulated evils. Enfim acabarei a vida e verão todos que fui tão afeiçoado à minha Pátria que não só me contentei de morrer nela, mas com ela. I am ending the course of my life, but the world will bear witness how I have loved my country; I have returned not only to die on her bosom, but to die with her! Just like Love is yonder rose. Rondeau in Poems, from the Portuguese of Luis de Camoens (1803) by Percy Smythe, 6th Viscount Strangford, p. 47; original source unclear. he excelled all the poets of his time. Strange fortune that to so much wit and learning gave a life of poverty and a rich sepulcher. 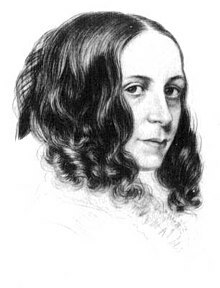 Camoens, the greatest literary genius ever produced by Portugal; in martial courage, and spirit of honour, nothing inferior to her greatest heroes. Thus, Camoes, be my model! Which his lady's eyes are praised in, as the sweetest ever seen. I have seen and sat in the cave at the end of the flowery, winding way, where Camoens, according to tradition, composed certain parts of his Lusiad. Ay, Camoens was a sailor once! The most pleasing literary labour of my life has been to translate The Lusiads of my master, Camoens. An absolute poetical genius, the greatest in our literature. Inscription placed over Camões' grave by Gonçalo Coutinho, as quoted in Poems, from the Portuguese of Luis de Camoens: with Remarks on his Life and Writings; Notes, &c. &c. by Lord Viscount Strangford (1803), p. 22. We look for something new in a literature unknown to us; we do not go to Lisbon to gaze into shop-windows which we can see in Paris. But the fact is that in Camões' lyrics we enter an enchanted country. They have a peculiar glow and magic which one seeks in vain elsewhere. Aubrey F. G. Bell, Luis de Camões (1923), pp. 98–99. I can read Camoes, etc., pretty well now, and he—his sonnets—are superb—as good as any in English, certainly. His sonnets...are full of Petrarchic tenderness and grace, and moulded with classic correctness. Friedrich Bouterwek, as quoted in Introduction to the Literature of Europe in the Fifteenth, Sixteenth, and Seventeenth Centuries by Henry Hallam, Vol. I (1848), p. 340. He might well claim to be a Portuguese Virgil. Maurice Bowra, "Camoes and the Epic of Portugal", in From Virgil to Milton (1945). 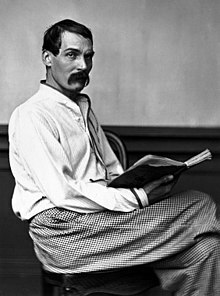 He is a Humanist even in his contradictions, in his association of a Pagan mythology with a Christian outlook, in his conflicting feelings about war and empire, in his love of home and his desire for adventure, in his appreciation of pleasure and the demands of his heroic outlook. But he is above all a Humanist in his devotion to the classical ideal and in his conviction that this was the living force in the imaginative life of Europe in his time. ... His poem covers a wide range of experience because it was written by a man who was open to many kinds of impression and had a generous appreciation of human nature. ... His conception of manhood is fuller and more various than Virgil's. He has indeed something of Homer's pleasure in the variegated human scene and, like Homer, he knows that there can be more than one kind of noble manhood. Maurice Bowra, "Camoes and the Epic of Portugal". The most pleasing literary labour of my life has been to translate "The Lusiads"...of my master, Camoens. [Camoens is] the perfection of a traveller's study... A wayfarer and voyager from his youth; a soldier, somewhat turbulent withal, wounded and blamed for his wounds; ... a doughty Sword and yet doughtier Pen; a type of the chivalrous age; a patriot of the purest water, so jealous of his Country's good fame that nothing would satisfy him but to see the world bow before her perfections; a genius, the first and foremost of his day, who died in the direst poverty and distress. During how many hopeless days and sleepless nights Camoens was my companion, my consoler, my friend;—on board raft and canoe; sailer and steamer; on the camel and the mule; under the tent and the jungle-tree; upon the fire-peak and the snow-peak; on the Prairie, the Campo, the Steppe, the Desert! I find a comrade where I sought a master. Roy Campbell, Talking Bronco (1946), sonnet "Luís de Camões"
And taught his gorgon destinies to sing. [Camões] is the soldier's poet par excellence. The honour to give Hints to such a witt. (so did I, Her) Beasts cannot browze on Bayes. Wave o'er her Naval Poet's laureate head. Those who ne'er tasted but of classic lore. And in the Epic ocean found a world. To Petrarch's softness melt, and swell to Homer's fire! In life, in death, thy honor and thy shame. Que cosa mas lastimosa que ver un tan grande ingenio mal logrado! yo lo bi morir en un hospital en Lisbon, sin tener una sauana con que cubrirse, despues de aver triunfado en la India oriental y de aver navigado 5500 leguas por mar: que auiso tan grande para los que de noche y de dia se cançan estudiando sin provecho como la araña en urdir tellas para cazar moscas. What can be a more lamentable thing than to see so great a genius ill rewarded! I saw him die in a hospital at Lisbon, without having a winding sheet to cover him, after having triumphed in India, and sailed 5500 leagues by sea. What a great lesson for those who weary themselves day and night in studying without profit, as a spider is weaving its web to catch flies! F. Josepe Judio, note written in the first edition of the Lusiad, as quoted in "Memoirs of the Life and Writings of Luis de Camoens" by John Adamson, in The Quarterly Review (April, 1822), p. 13. 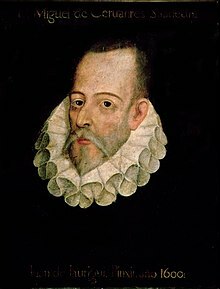 Luis de Camoens, author of the national epic, "Os Lusiadas," who lived in poverty and wretchedness, died in the Lisbon hospital, and, after death, was surnamed the Great,—a title never given before, save to popes and emperors. The life of no poet is so full of vicissitude and romantic adventure as that of Camoens. In youth, he was banished from Lisbon on account of a love affair with Catharina de Attayda, a dama do paço, or lady of honour at court; he served against the Moors as a volunteer on board the fleet in the Mediterranean, and lost his right eye by a gun-shot wound in a battle off Ceuta; he returned to Lisbon, proud and poor, but found no favour at court, and no means of a livelihood in the city; he abandoned his native land for India, indignantly exclaiming with Scipio, "Ingrata patria, non possidebis ossa mea!" Three ships of the squadron were lost in a storm, he reached Goa safely in the fourth; he fought under the king of Cochin against the king of Pimenta; he fought against the Arabian corsairs in the Red Sea;he was banished from Goa to the island of Macao, where he became administrator of the effects of deceased persons, and where he wrote the greater part of the "Lusiad"; he was shipwrecked on the coast of Camboya, saving only his life and his poem, the manuscript of which he brought ashore saturated with sea-water; he was accused of malversation in office, and thrown into prison at Goa; after an absence of sixteen years, he returned in abject poverty to Lisbon, then ravaged by the plague; he lived a few years on a wretched pension granted him by King Sebastian when the "Lusiad" was published, and on the alms which a slave he had brought with him from India collected at night in the streets of Lisbon; and finally died in the hospital, exclaiming, "Who could believe that on so small a stage as that of one poor bed Fortune would choose to represent so great a tragedy?" Thus was completed the Iliad of his woes. Fifteen years afterward, a splendid monument was erected to his memory; so that, as has been said or another, "he asked for bread, and they gave him a stone." Jack [Chase,] above all things, was an ardent admirer of Camoens. Parts of The Lusiad he could recite in the original. Herman Melville, White-Jacket (1850), Ch. IV. Camoens! White Jacket, Camoens! Did you ever read him? The Lusiad, I mean? It's the man-of-war epic of the world, my lad. Give me Gama for a commodore, say I—noble Gama! ... How many great men have been sailors, White Jacket! They say Homer himself was once a tar, even as his hero, Ulysses, was both a sailor and a shipwright. I'll swear Shakspeare was once a captain of the forecastle. Do you mind the first scene in The Tempest, White Jacket? And the world-finder, Christopher Columbus, was a sailor! and so was Camoens, who went to sea with Gama, else we had never had The Lusiad, White Jacket. Yes, I've sailed over the very track that Camoens sailed—round the East Cape into the Indian Ocean. I've been in Don Jose's garden, too, in Macao, and bathed my feet in the blessed dew of the walks where Camoens wandered before me. Yes, White Jacket, and I have seen and sat in the cave at the end of the flowery, winding way, where Camoens, according to tradition, composed certain parts of his Lusiad. Ay, Camoens was a sailor once! Herman Melville, White-Jacket (1850), Ch. LXV. Herman Melville, White-Jacket (1850), Ch. XCIII. Yea, for the God demands thy best. Hunt then the flying herds of themes! That fire can purge as well as glow. Flame to the height of epic song. Trophies and arms with music borne? Fate's knife hath ripped thy corded lyre. Serving high God with useful good. Luis de Camoens, the greatest literary genius ever produced by Portugal; in martial courage, and spirit of honour, nothing inferior to her greatest heroes. The apparition, which in the night hovers athwart the fleet near the Cape of Good Hope, is the grandest fiction in human composition; the invention his own! The fiction of the apparition of the Cape of Tempests, in sublimity and awful grandeur of imagination, stands unsurpassed in human composition. 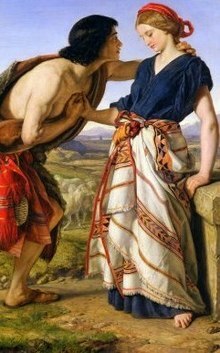 But for Camoens, though he has some glaring faults, he hath, doubtless, many original beauties; both of which, indeed, speak uncommon abilities. He is not correct like Virgil; but the hand of cold and sober judgment would have blotted out the novelties that surprise and delight us: these are "sublime infirmities," which will not bear the inquisition of the critic. "The epic poetry of Camoens, (says Voltaire,) is a sort of poetry unheard of before." I allow it; but not to his dishonour. The manners of the Lusiad are new and striking. And as to imagery, the apparition, hovering athwart the fleet near the Cape of Good Hope, is so grand a fiction, that it would alone set Camoens above Virgil, in point of genius. And what are the Elysian Fields to the Island of Venus! Ezra Pound, The Spirit of Romance (1910), p. 216. Camoens was a master of sound and language, a man of vigour and a splendid rhetorician. Ezra Pound, The Spirit of Romance (1910), p. 220. Rags and misery . . .
Enoch Powell, Poem VI, 'Os Lusíadas', Dancer's End, as reported in Tom Nairn: "Enoch Powell: The New Right", New Left Review I/61, May-June 1970, and quoted in The Break-up of Britain (2003) by Tom Nairn, p. 271. The perfection [Vollendung] of Portuguese poetry is all the more apparent in the beautiful poems of the great Camões. Karl Wilhelm Friedrich Schlegel, Dichtkunst (1803) [Portuguese Poetry], as quoted in Twilight Of The Literary: Figures Of Thought In The Age Of Print (2005) by Terry Cochran, p. 121. Sei, Camoens, denn mein Vorbild! Karl Wilhelm Friedrich Schlegel, Dichtergarten (1807), sonnet "An Camoens". Gedoemd poëet, zwerver en banneling. Doomed poet, wanderer and exile. J. Slauerhoff, Oost-Azië (1928), "Camoës"
Ch'i tuoi spalmati legni andar men lunge. Per lui del corso tuo la fama aggiunge. While Time and Fame together glide along. Torquato Tasso, Sonnet to Camoens (written in 1580), as translated by William Julius Mickle in The Lusiad; Or, The Discovery of India: An Epic Poem (1776), p. cxlviii. Note: John Black dates this sonnet to 1586 in his Life of Torquato Tasso, Vol. I (1810), p. 391. La vida pobre y el sepulcro rico. Lope de Vega, Laurel de Apolo (1630); translation from The Spell of China (1917) by Archie Bell, p. 81. Camoëns, en Portugal, ouvrait une carrière toute nouvelle, et s'acquérait une réputation qui dure encore parmi ses compatriotes, qui l'appellent le Virgile portugais. Camoens in Portugal steered a new course, and acquired a reputation which lasts still among his countrymen, who pay as much respect to his memory as the English to Milton. Voltaire, An Essay on Epic Poetry (1727), 'Camouens'. Note: "Virgile portugais" translates as "Portuguese Virgil". Camões soothed with it [the Sonnet] an exile's grief. William Wordsworth, Scorn Not the Sonnet (1827), line 6. This page was last edited on 8 December 2018, at 16:45.